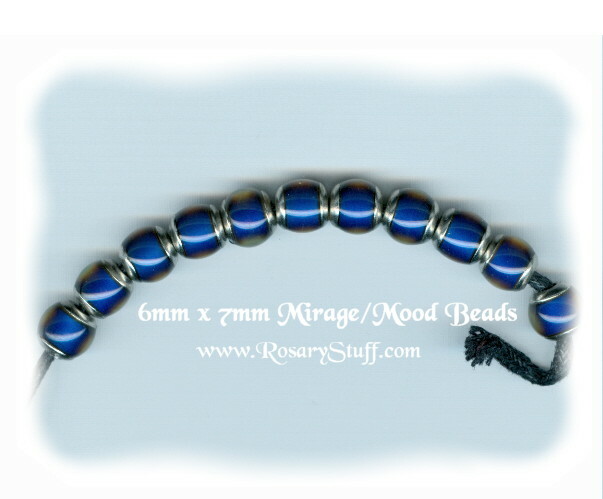 Mirage Mood Beads 6mm (for custom rosaries only, not for individual sale). See below for more details. 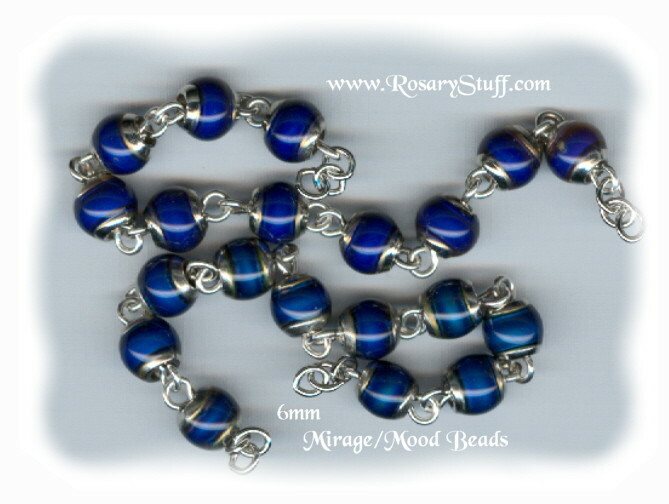 Check out these fun Mirage "Mood" Beads. These large hole beads feature color-changing thermo-sensitive liquid crystal on white-plated brass. Colors range from black (when cold) through all colors of the rainbow. When worn, beads range from teal and blue (warm) through shades of green, yellow and orange (cooler). Please be advised, exposure to moisture can sometimes damage Mirage Beads' color-changing ability. They come in three sizes: 6mm round, 6mm x 7mm oblong, and 6mm x 9mm oval. 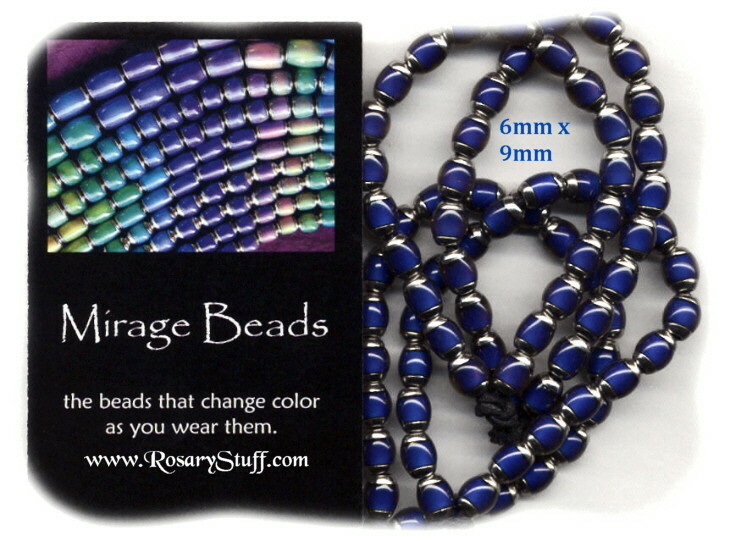 Due to the large hole of these beads, they work best when used with a thicker wire and chain. They are also heavier than your standard glass bead. Price includes all 6 beads. These beads are for custom rosaries only. If you are looking for individual beads for sale, please click here to visit my bead section for crafters.